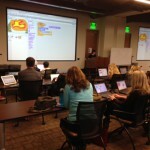 San Diego, CA – SPARK helped inspire kids at Illumina’s Bring Your Kids to Work Day by building Virus Invaders. See the template and the games created here. San Diego, CA – On Saturday, March 14th, one of our instructors, Brenden, taught a Programming for Kids event to raise funds for NFAR as a part of his Eagle Scout Project. Students built a “Race for Autism” game while supporting a great cause! Learn more about NFAR at www.nfar.org. CLICK HERE for the STUDIO of Projects Created during this event! 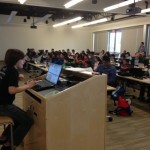 SPARK Presents Programming for Kids at MIT! 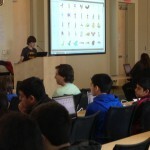 Boston, MA – On Saturday, January 24th, SPARK Programming was honored to present Programming for Kids at MIT, the birthplace of Scratch! 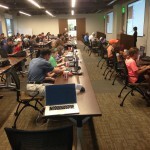 The event, sponsored by ServiceNow partner Cloud Sherpas, provided an introduction to programming by creating a working version of Asteroids! 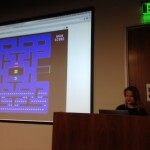 San Diego, CA – About 100 people gathered to remember the magic of Space Invaders and recreate it using Scratch and ServiceNow. Check out some of the projects here. 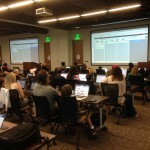 San Diego, CA – ServiceNow hosted two Programming for Kids events for about 200 people. 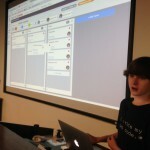 The events featured MIT’s cloud based Scratch programming language IDE and ServiceNow’s recently released Visual Task Boards. Students created Asteroids and a Scratchified version of Flappy Bird. 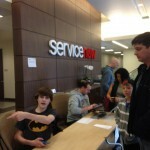 Santa Clara, CA – ServiceNow hosted two Programming for Kids events in Silicon Valley on Saturday, March 29th. Both events filled up quickly and we plan to hold another session in the future. Please sign up on the Interest List to be notified of our next event. 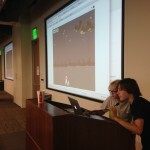 The students built an Asteroids game in 2 hours – here are some examples of the apps they built! SPARK Hosts “Scratch out Poverty”! 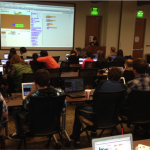 San Diego – About 100 Next Generation Programmers gathered at ServiceNow in San Diego to learn to program in Scratch and raised $1,111 to “Scratch out Poverty”! The project we developed mirrored the fund raising and well drilling that helps bring clean water to those that do not have access. 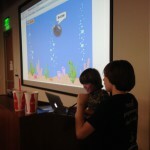 Tucson, AZ – On Saturday, October 5th at the University of Arizona with students of all ages building ASTEROIDS games! 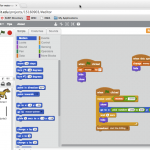 Check all of their work here – http://scratch.mit.edu/studios/259883/. 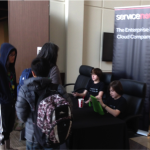 San Diego, CA – Over 110 students of all ages attended the Programming for Kids at ServiceNow event where ASTEROIDS was the inspiration for our project. 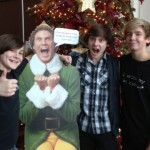 4th Annual “Scratch Out Poverty” Programming for Kids Charity Event!